In the post, ALOE VERA AS HERBAL-PLANTS/MEDICINE/REMEDY, we have discussed about the cultivation process of Aloe Vera plant. Not only cultivating process of the Aloe Vera but also the procedure of its collecting the rich properties that can be very helpful. So in this post we have discussed about collection of Aloe Vera herbal products. After three or four months of the cultivation a cultivator can collect the leaves from the field. 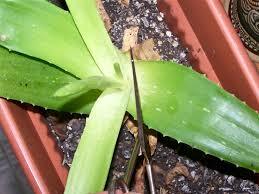 It has already mentioned that July is the best time to cultivate Aloe Vera. So November is the time of harvest. Collect only the matured leaves. You can collect the leaves with a sharp 12 inch knife. The most interesting mater is that after removing it a new leave will come out. And within three months, it is again removable. Keep the leaves by laying straight so that they must not break. Do not keep it vertically or upright. 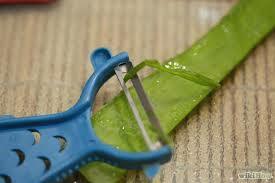 If you do this, the gel of the leaves will come out. leave in front of you. Wash it before cutting for extracting its gel. Without cleaning or washing there will remain the question of hygiene. We should wash it and wear gloves. If it is not possible beside cleaning the leaves, we also have to clean our own hand. 45 degree to come out the yellow stuff. Yellow stuff are very laxative which cases trouble in stomach. There are dark stuff in those yellow stuff. These dark stuff are known as Emodin that helps curing cancer. These also fight for type-2 diabetes. Normal people need not to take them. A professional person can do this for them. margin of thorn has to remove equally and gently. Do not cut it in the middle. Just cut the thorn and peel. After cutting the right side you have to cut the left thorny side in the way which you already have cut the right side. Now take out the upper peel as well as lower peel. Yes, this fleshy cluster white gel is the aloe Vera gel. bread. Now cut the both thorny side of the slices. Take out the upper and lower peel. What is remaining that is the Aloe Vera gel. 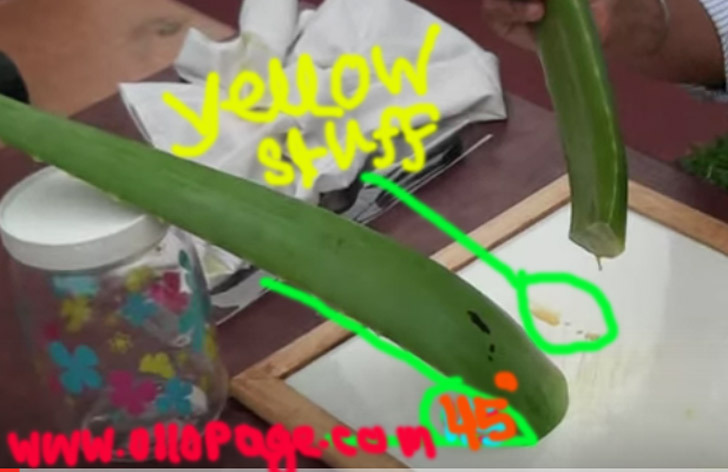 If there is any yellow mark just wash them properly and do not create any pressure for few second. You will see the yellow marks has gone. 3. 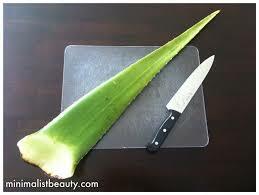 With the help of a peel removal anybody can withdrew the peel and collect the Aloe Vera Gel. 4. 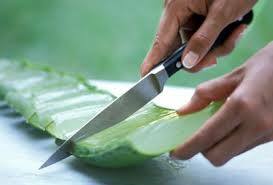 Sharp Stainless steel Scissors can be a beautiful weapon by which a person can easily cut the Aloe leaves and edge of the leaves. 5. Machine cutter is the gift of modern world which helps us to cut a leave with more simply. In case of huge collection they are very helpful. Rechargeable electronic Cutter are available in the market. They are easy to use. You can remove leaves very quickly. They save time for you. We should not preserve Aloe Vera gel for a long time. There are a few way of keeping it preserved. A air tight container is the best tool to keep it save. Before entering into this airtight container we must aware that the container is water free or not. It must be water free before packed up. 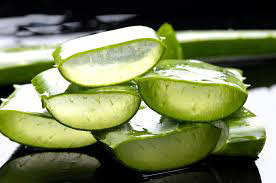 Refrigeration is the another process of preservation and collection of Aloe Vera herbal products. The leaves may be the best option to keep refrigerate. 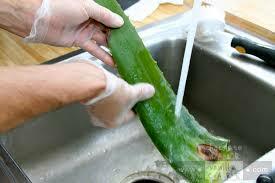 To keep fresh Aloe leaves for 24 hours, do not peel out the leaves. Throw water to them every an hour to look green. There will be more informative post about the collection of Aloe Vera herbal products like juice, oil and other medicine. All of them will be with detail discussion, videos, images, Referral Books etc. So Just keep your eyes on our further posts.